You’ve Experienced a Loss, Now What? Whether you rent or own, at some point you’ll likely have to make a homeowners insurance claim. One night you may forget to close the garage door and discover that given the chance, all your power tools ran away from home! Or perhaps you host a birthday party, and the unattended kid brother – who wasn’t invited – wanders in front of the swing set and ends up with a broken arm. 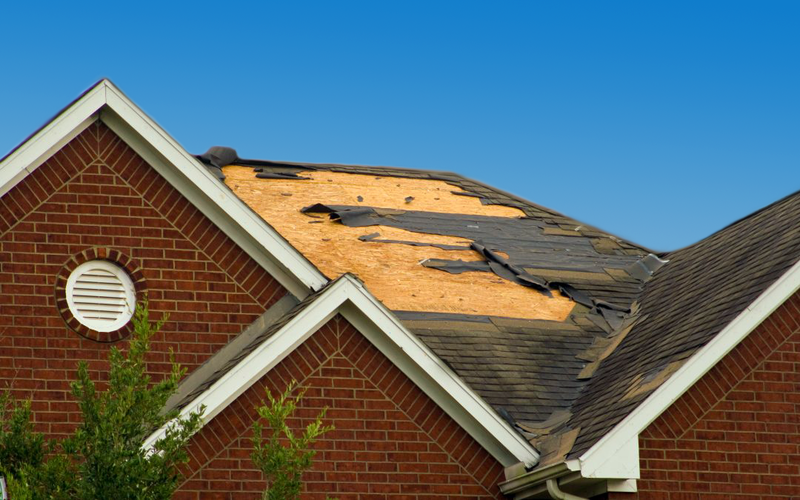 Or maybe a typical Texas hailstorm causes just enough damage to warrant a new roof. Yes, I’ve experienced all three unfortunate events. I only wish I had known the tips I’m about to share as they would have saved me lot of aggravation. If you are the victim of a crime (theft, vandalism, or burglary) report it to police immediately. Click here for a directory of law enforcement agencies throughout Texas. Make sure a report is filed and document who prepared the report. You may be approached by a Public Insurance Adjuster who wants you to sign a contract for their assistance. Most are well-meaning, but they are totally unnecessary in most cases. Read more about Public Adjusters here before signing on the dotted line. See if your loss is covered or not, and how much your deductible is. Policies can be a difficult read, so check out How to Read a Homeowners Insurance Policy or call your insurance company. If your claim amount is less than your deductible, there is no need to file a claim. Make sure your claim will be covered and confirm your deductible amount to determine if you should make a claim or not. Don’t be afraid to ask questions about the claims process and timeline. Make a claim if warranted – and keep a copy for your records. After taking pictures or video of the scene (if warranted), it’s your duty to protect your property from additional damage. Wait until an adjuster views the damage before you clean up or throw anything away. If you must relocate, find out what your policy will pay for and keep all your receipts! Hopefully you already have an inventory of your stuff, including photos, videos, and receipts. If not, start a list and be as descriptive as possible or your insurance company will assume your $400 Wolf Gourmet Toaster is a $7.88 Walmart special. There are deadlines set by Texas law, but insurance companies still find ways to delay. Make sure you provide them any requested information quickly. If your claim isn’t settled in a timely manner, report it to the Texas Attorney General’s Office at 800-252-8011 or make a claim on the Attorney General's website. If you aren’t sure about the claim, call your agent or contact the Texas Department of Insurance at 800-252-3439. If you receive notice that the claim is denied or underpaid, seek help from a competent attorney. Most provide representation on a contingency basis, meaning they only get paid if/when the claim is approved. If you have questions regarding the claims process, The Lane Law Firm can help. After years of defending big insurance companies and helping them squash the “little guy’s” insurance claims, Chip Lane decided to open his own firm to serve families and business owners needing help with insurance claims. With his years of experience and extensive knowledge of the insurance company’s tactics, he’s able to level the playing field and get claims approved.